Staff members from Imagine! 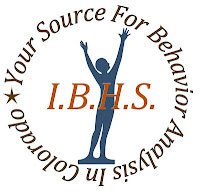 Behavior Health Services (IBHS) will be participating in the 38th Annual Meeting of the Association for Behavior Analysis International (ABAI) in Seattle this upcoming Memorial Day. This event marks the first presentation by the IBHS team at this prestigious conference. 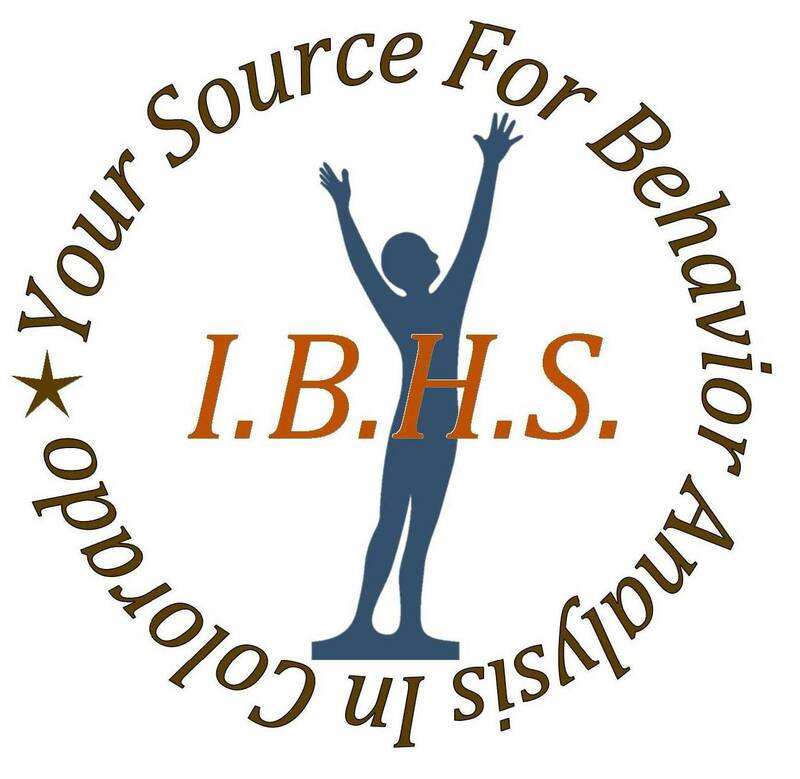 During the conference, IBHS team members will be presenting at a symposium entitled Welcome Back, MY LOVELY! Cumulative Graphs in the Analysis of Behavior. The presentations are the culmination of over two years of research by practitioners from IBHS and Learning Services. The presentations will showcase cumulative graphing methods used exclusively by these two treatment programs to analyze behaviors that are normally difficult to assess using other conventional measuring methods. Cumulative graphing methods have led to interesting discoveries about behavioral mechanisms and how they are involved in behavioral treatment plans, as well as selective effects of medications on behavioral mechanisms. These discoveries may lead to new ways of understanding behavioral processes and ultimately to more successful treatment outcomes. The presentations for the ABAI conferences are listed below, along with the authors. Author names in capital letters indicate the presenter. Thanks to Jeff Kupfer for sharing this information with me, and way to go, IBHS! Today I’m happy to share one of my favorite recurring “Good News Friday” posts. For the past three years, a group of University of Colorado Engineering students in classes taught by Associate Professor Melinda Piket-May have worked on projects to design adaptive technologies to aid increased independence for some of the individuals Imagine! serves. Each time, we have made short videos of the students demonstrating their projects. Below are videos of the projects created by Professor Piket-May’s Spring 2012 class. The first five videos below share a theme: technologies that can help teach about cause and effect, enhancing the ability for even those with significant disabilities to make their own choices about their environment. That may seem simple, but for an individual who has never had the capability to verbally or physically indicate his or her preferences to others, the simple act of making a choice is a profound first step toward independence. Simple choices like the ones that can be made using the technology shown in the videos below are the first step in changing a lifelong mindset of dependence. The project shown in the video below also offers lessons on cause and effect, and additionally can help teach math skills, and assist in learning about numbers, money, and turn taking. And last but certainly not least, this video shows a "Vibe Chair," which allows a woman with cystic fibrosis to control a vibrating system set up to her wheelchair on her own, which helps break up fluid in her lungs. It also provides assistance in learning cause and effect lessons. Thanks to all the students who worked so hard on these projects, and thanks to Professor Piket-May for her continued support of people served by Imagine!. Today I’d like to highlight a new partnership that will provide the individuals Imagine! serves with more opportunities to engage in their communities. ArtReach exists to ensure people of all ages who struggle with physical, mental, behavioral. or severe economic challenges have an opportunity to experience arts and culture. Every year ArtReach programs ensure that more than 56,000 individuals and families in our community have the opportunity to experience the Arts. Thanks ArtReach, for engaging in this partnership with Imagine!. Thanks also to Imagine!’s volunteer coordinator, Elizabeth Hill, for making this possible. Those of you who know me know I love the Winter Olympics. The official theme of the 2006 Olympics in Turin, Italy was “Passion Lives Here.” I really liked that phrase, and it has stuck with me over the years, because it reminds me of Imagine!. Despite the many challenges we face at Imagine!, the frustrations, and the ups and downs, we have always had an abundance of passion. I was reminded of this abundance of passion recently because of a rather zealous email exchange among some of our staff members. The email exchange began when a dedicated staffer, who was on a quest to find a humane way to mitigate the numerous prairie dogs that live near our building (and are creating a challenge for property maintenance), sent an email asking if anyone had ever tried the method of spreading used, damp, stinky cat litter to scare off the critters. Seriously. This email was sent to a number of people, and the response to the initial email was fast and overwhelming. People were asking if we really needed to get rid of the prairie dogs, if it was ethical to get rid of the prairie dogs, and even if we had any right to get rid of the prairie dogs since we were the ones who invaded their territory in the first place. 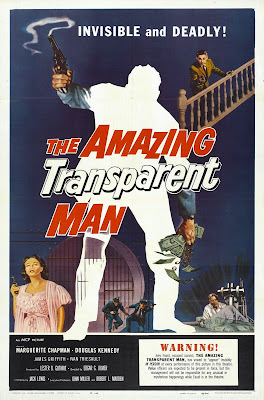 This email exchange went on for several days until my writing partner on this blog, Imagine!’s Director of Public Relations Fred Hobbs, asked that staff members stop using the “reply to all” feature because the amount of email responses were starting to clog up our servers (earning him the nickname “Captain Bringdown McBuzzkill” in the process). Although it was probably time to end the online conversation, I actually enjoyed the emails going back and forth because they demonstrated the fact that passion is overflowing at Imagine!. That we are passionate about the individuals we serve is, and always has been, without question. But the passion of our staff goes so far beyond that, as evidenced by the prairie dog emails. Being a good provider of services is not enough for Imagine! staff members. So many people working here care deeply about the environment and are concerned about how our actions impact the world around us. Their passion knows no bounds. The trick for Imagine!’s administrative team, and me in particular, is to harness that passion so we can continue to lead the way locally, nationally, and internationally in providing innovative supports for some of our most vulnerable citizens – and providing them in a way that preserves the environment for future generations. So thank you, Imagine! staff members, and especially our prairie dog neighbors, for reminding me that Imagine! has a truly exceptional culture that enables us to succeed even in the face of tremendous challenges. Passion truly does live (and work) here. I wouldn’t want to be anywhere else! Today, I am pleased to announce that Microsoft has made a donation of $346,649.00 worth of Microsoft software to Imagine!. Wow! In recent years, the need for Imagine!’s services has been increasing while government funding for those services has been steadily withdrawn. Colorado is currently 47th on the list of the 50 states (plus the District of Columbia) in per capita funding for services for people with developmental disabilities. Imagine!’s visionary staff is working on a variety of strategies for improving the funding and service delivery models for this population throughout Colorado. Even under the most optimistic scenarios, however, it is essential that Imagine! seize every opportunity to enhance the efficiency and effectiveness of its staff in order to serve more clients as financial resources dwindle. Imagine!’s staff consists of approximately 600 employees working throughout the service area. While many of these employees share a computer with other staff members, nearly all require individual email accounts and file-sharing capabilities. This software donation will increase Imagine!’s employees’ capacity to update electronic documents relating to service delivery quickly and accurately, and share documents while ensuring confidentiality. In addition, the software will bring Imagine!’s technology infrastructure up to current releases and allow all employees to use the same version of Microsoft Office. The upgrades to Imagine!’s servers, email system, and core software donated by Microsoft will free up significant resources that can be invested in direct care of the individuals we serve, or other valuable activities such as staff development or cultivating relationships with community partners. We cannot thank Microsoft enough for this generous donation. The impact it will have on our organization and, more importantly, the people we serve, will be tremendous. We are deeply grateful. But today I am using the term in a different way. I mentioned awhile back that I was undertaking a mission to update Imagine!’s mission and values. As part of this process, I have been informally interviewing employees at Imagine! to get their sense of why we are here and what is important about what we do. Armed with that knowledge, I have been doing a great deal of contemplation on the subject, and I think I am slowly creeping toward a new mission for Imagine!. Here’s my journey so far. Looking back historically at Imagine!, those of us providing direct support to individuals with developmental disabilities looked at ourselves as teachers – trying to teach the people we serve skills and techniques that would allow them to navigate, and engage in, their communities. So, we might try to “teach” somebody we serve to do something using a variety of reinforcement techniques. We would judge our success on whether or not we could get the individual to achieve success at whatever task we were trying to teach. Success or failure depended on the individual. That approach has some merit, but by itself is inadequate. I have seen over the years an evolution of our approach to a system that, instead of measuring the individual’s ability to complete or not complete a task, measures the level of intervention required to complete a task. The client isn’t judged as being “right” or “wrong” depending on whether or not they can master the task we request of them, instead, we are measuring how much assistance needs to be provided by the care worker in order to make the task successful. This approach means that rather than just focusing on the individual receiving services and what that person can or can’t do, we are also focusing on environmental issues – what needs to be changed in the individual’s environment in order to allow the individuals being served to be successful. This may seem like a simple distinction, but I happen to believe there is a profound difference between the two. At Imagine!, and I think in the field of intellectual disabilities overall, a dramatic shift has taken place, to where providers are focusing on creating a world that is navigable for people with disabilities. You’ll notice I didn’t use the word “adapt.” I don’t think that word is quite appropriate. Instead, I think that the provider community is most successful when they are able to facilitate successful community interaction among those we serve. I have a great example of this philosophy in action. If you haven’t seen it, check out this story that ran in last Sunday’s Daily Camera. The story is about Gerald, an individual we serve who lives in one of Imagine!’s SmartHomes. A quick synopsis: Gerald began receiving services from Imagine! about 10 years ago. Gerald is unable to communicate verbally and has some severe physical disabilities which means he has to use a wheelchair for mobility. When he first came to Imagine!, we were told not to expect much from Gerald, as his disabilities were such that he really couldn’t participate in the community. Gerald quickly proved those reports wrong. Given the opportunity, Gerald has demonstrated time and again that he was willing to accept challenges and go beyond what others expected of him. Over the past few years Gerald has used an assistive communication device called a DynaVox to improve his ability to communicate his needs and desires. He has also used the device to begin to learn how to read, write, and do arithmetic – all while in his 40s! The good folks at Twisted Pine Brewery in Boulder demonstrated their commitment to providing employment to those with significant needs by carving out a special position for Gerald. Twisted Pine has been collaborating with Gerald, Imagine!, and the staff members at the SmartHome to create some tasks that Gerald can perform at Twisted Pine using his DynaVox, including assisting with inventory. Think about that – someone who couldn’t count to ten a few short years ago is now doing inventory work for his employer! Now, the majority of credit for Gerald’s success goes to Gerald himself. He has worked unbelievably hard over the past few years to get to where he is. At Imagine!, our contribution to his success lies in the fact that instead of just trying to teach him, we have also made significant changes to his environment that have put him in a position to be successful. Just two examples of environmental accommodations that facilitated Gerald’s success: his DynaVox helping him do the inventory work, and the adaptations Twisted Pine made to provide wheelchair access to their coolers and work spaces meant that Gerald could be placed (literally) in a position to achieve. So as I move closer to a new mission for Imagine!, I am looking at Gerald’s success as an example of our true mission in action, and I am really trying to focus on the community facilitation aspect of what we do. I hope to create a mission that provides a more accurate purpose statement for Imagine! that can act as the foundation for all of our work.